If you’re looking for a nice long run, or a good way to get to know Colorado Springs on foot, the Pikes Peak Road Runners suggest the ten mile “Legacy Loop” around the city. 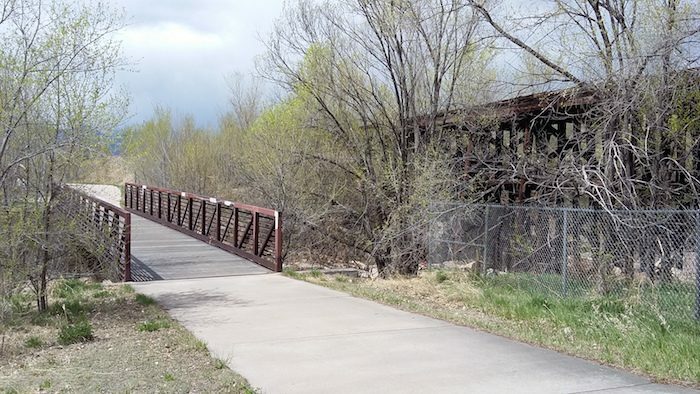 The loop utilizes some of Colorado Springs’ most popular trails, including the Pikes Peak Greenway and the Shooks Run Trail. It also passes some of the city’s historic homes from notables such as Leon Young and Fannie Mae Duncan, with great street art views off the Shooks Run Trail. This is a great loop for training since it’s easily accessible from almost anywhere in the city, and remains relatively flat throughout. Start at America the Beautiful Park and run north on the Pikes Peak Greenway for 3 miles, through Monument Valley Park and Boddington Park. Just past Penrose Hospital, you’ll connect with the Shooks Run Trail, heading south. At the 5.5 mile mark is Shooks Park, and the larger South Shooks Run Park at 6.5 miles. Just south of E. Las Vegas St., connect with the southern part of the Pikes Peak Trail, for the final 2 miles, with Dorchester Park among the highlights.